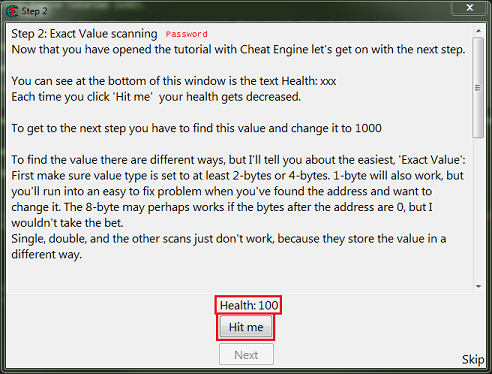 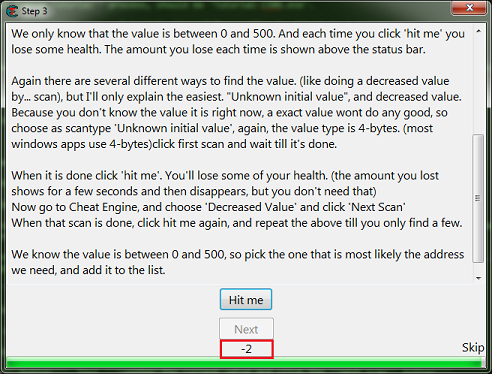 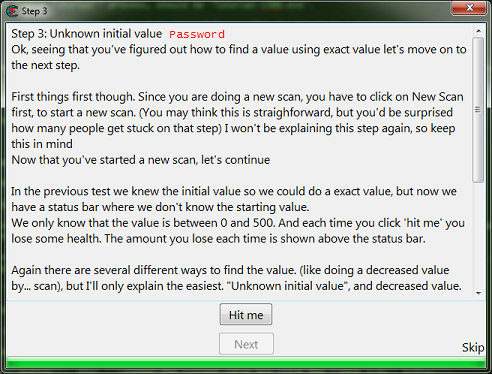 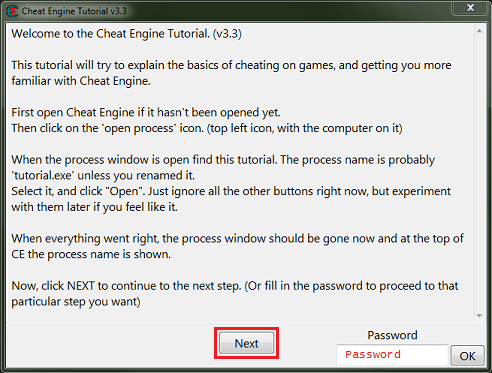 So let's go through the Cheat Engine Tutorial (x32). 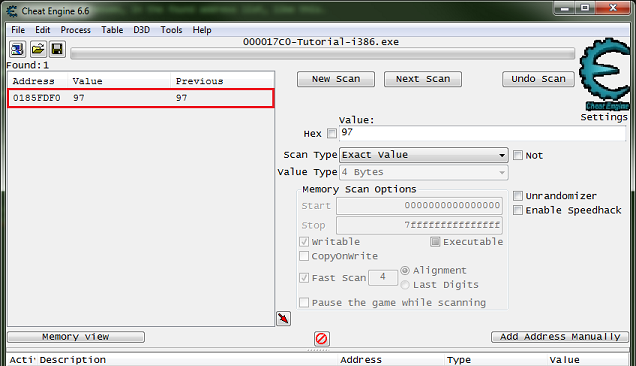 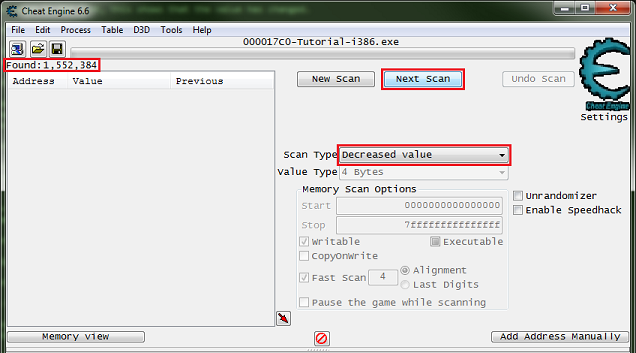 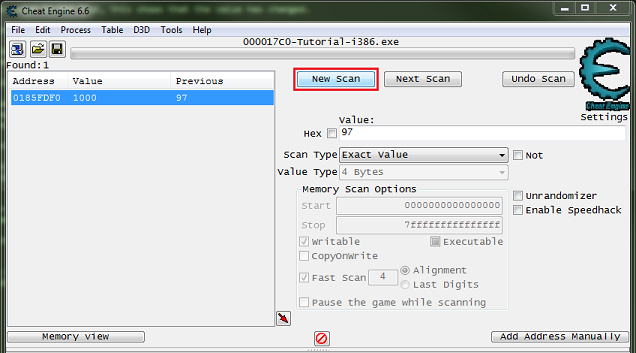 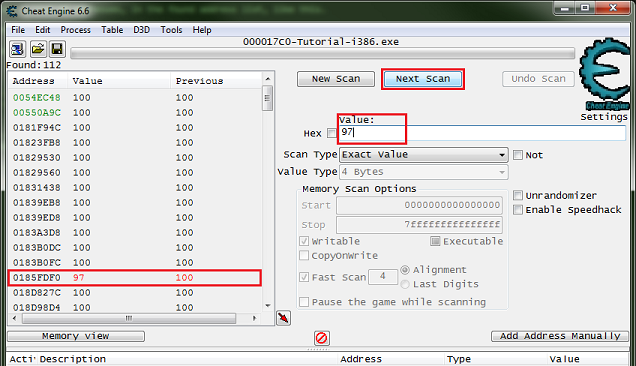 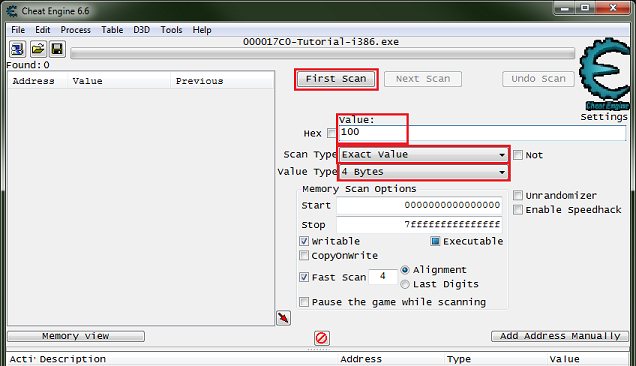 Then attach to the Cheat Engine Tutorial process, it should be 'Tutorial-i386.exe'. 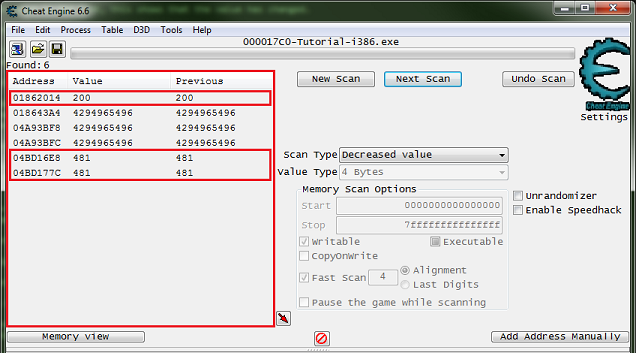 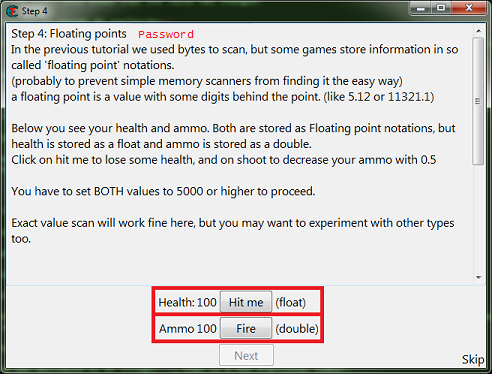 So setup the memory scanner to find an integer and for exact value scan then set the value to the current health value, most integers will be stored in a 4 byte variable, so let's start there. Note: Integers can be stored in a 1 byte variable (byte), 2 byte variable (int16/short), 4 byte variable (int32/int), or 8 byte variable (int64/long). 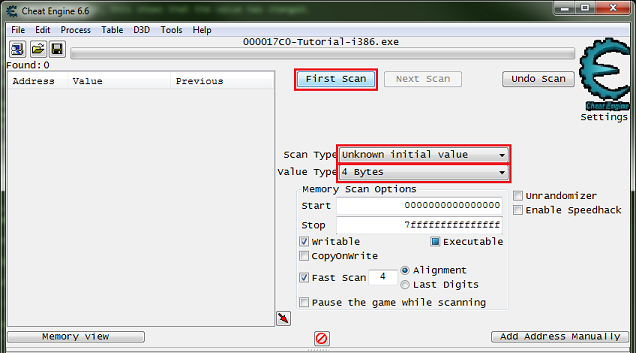 When ready click the first scan button. 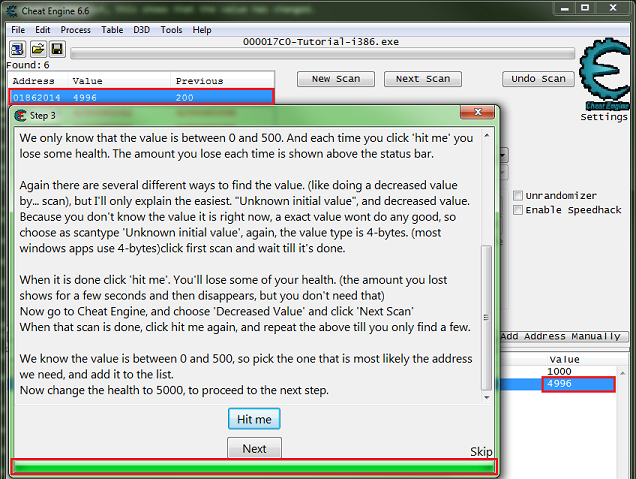 Last edited by TheyCallMeTim13 on Tue May 01, 2018 12:54 am, edited 5 times in total.